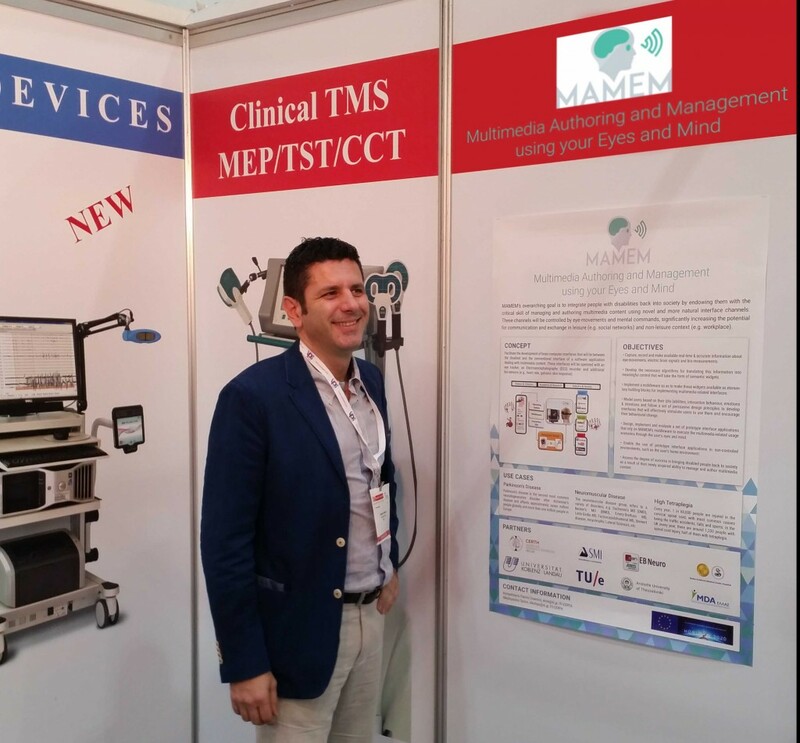 This January the MAMEM project had his first time in Arab Healt trade fair in Dubai (UAE). This is the reference medical trade fair for all Africa, Middle East and is held every year during January. Typical visitors of the fair are dealers looking for new products, suppliers looking for new customers, health professionals and researchers looking for last technology updates. EBNeuro had the chance to meet many professionals and to explain them about MAMEM, experiencing a raising interest in the project, itself even if in a very early stage. Many professionals operating in the rehabilitation field shown their interest in MAMEM waiting for preliminary clinical validation and real use results.